As a person who scans over job postings somewhat regularly on SO Careers, there are two features I thought of that could help improve the process of searching for and applying for jobs. 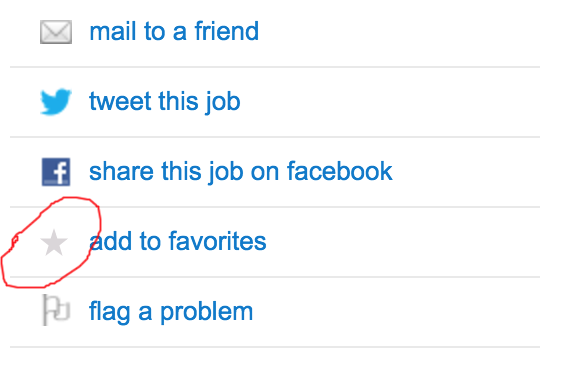 The first one is the ability to bookmark a job to your profile for later. Sometimes I am browsing job postings on my iPhone, and do not really have a way to immediately find the job later in the day when I am back at my Windows desktop to apply (without writing down the exact job title to perform a search or something similar). I understand this is easily remedied by the method I just mentioned, but might be something nice to have. The second feature is the ability to filter jobs by required years experience. 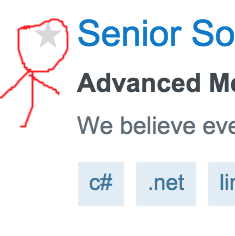 I realize that you should not let the recommended or required years of experience on the job posting stop you from applying, because you never know what could happen, but for those of us just starting our careers and with less than a year or so under our belt, it seems pointless to have jobs in our list that require 5+ years of experience. You'll be pleased to hear that we more or less already have those features! The second feature is more of a proxy for years of experience. We don't ask employers for this information because it generally isn't really helpful for filtering jobs. Instead we do ask for 'Seniority'. You can filter for this by performing an advanced search. E.g. You can see all the options here. Note: you need to be a registered user to use all this functionality. How to change my experience order in SO Career? Does setting the experience filter do anything?